Can you tailor the tour to my requirements? Who will be leading our coaching? What sports equipment and kit do we need to bring? Are you able to present our tour to the parents for us? Do you have any information that can help us with our risk assessments? What is the food like? Are the hotels able cater for dietary requirements? What payment deadlines should I expect? What happened if my passenger numbers fluctuate? Yes! All of our MasterClass tours can be specifically tailored to fit your budget and sporting expectations. From choosing between a range of destinations, travel options, excursions and inclusions, we can always find the tour that is a perfect fit for you and your students. At MasterClass we’re proud of the high level of coaching we are able to offer across all sports. We recruit club and county coaches from all over the country, all with a minimum of a level 2 coaching qualification. Across football, rugby and hockey we bring a minimum level 2 coach with many of our coaches at Academy level, from places such as Wigan Athletic, Crystal Palace, Brighton and Hove Albion, Harlequins and Saracens. Please bring minimum of one ball to share between two players. For hockey please bring minimum 1 stick per child and a minimum of 24 balls per hockey team of 16 persons. For racquet sports please bring an adequate supply of shuttlecocks, and squash or tennis balls. Please also ensure you have a sufficient supply of the correct racquets for each sport. Groups using indoor sports halls, particularly netball, basketball, volleyball and racquet sports are required to wear trainers with non-marking soles. In the event of wet weather, soccer players may be offered indoor facilities. In this case trainers with non-marking soles must be worn and it is important that all players have the correct footwear for all eventualities. All hockey training and matches are played on AstroTurf so you can wear trainers or rubber studs. Football teams train and play fixtures on a mixture of grass and artificial pitches so please bring suitable footwear for either eventuality. Hockey goalkeepers will need to bring full goalkeeper kit (e.g. body armour, padded shorts, leg pads, kickers and helmet). Please bring enough GK kits so that you have one for every team. For team sports please bring at least one full set of bibs per team. With so much equipment being around the pitches and sports halls, it is easy for things to get mixed up. Please ensure all equipment is clearly marked (one ball looks much like another). MasterClass cannot assume any responsibility for damaged or lost equipment. Yes, please speak to your personal sales advisor who will be able to assist in all stages of the process in school. We can help with template letters to parents, individual meetings at your convenience and presentations to the SLT and parents. We can actually do your risk assessments for you!  As an ‘Assured Member’ of the Schools Travel Forum (STF) our health and safety assessments go above and beyond. We also have Learning Outside the Classroom (LOtC) accreditation quality badge. Please speak to your tour operator about help with your risk assessments. All our hotels are 3* or above and the standard of food is very high. Our larger hotels run buffet style meals and there is always plenty of options for students to choose from. Our smaller hotels are family run and are very adaptable and helpful when dealing with dietary requests. All hotels are able to cater for dietary requirements. Please let us know your dietary requirements before your departure to ensure we can cater for you. Second deposit: TBC depending on destination Second deposit payment is due 8 weeks after securing your tour with your initial deposit. Some airlines may require a larger deposit, as would booking within close proximity of your departure date. In these circumstances, details will be included within your quote. The balance of the price of your travel arrangements must be paid when indicated on the invoice, and in any case, must be received by us at least 12 weeks before your departure date. Late payment fees: We reserve the right to levy a late payment fee of £50 per group if we have not received your payment by the agreed deadline date without a prior extension agreed in writing. Deposit and all interim payments plus any non-refundable flight costs.